Is a Typhon 20mm enough to zip through a trio of aluminum blocks or elite cadre of giant gummy bears? You’ll probably never need to know the answer to this, but it’s still fun to watch. 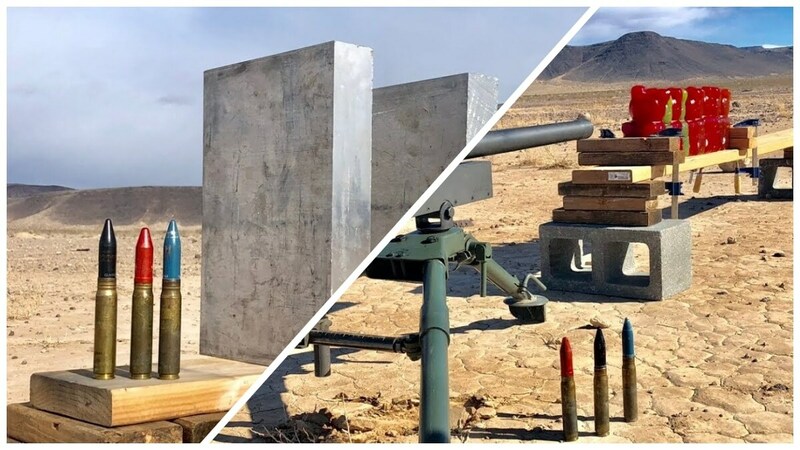 In the above, Edwin Sarkissian — with a little help from Mark Serbu who brings the 20 mike-mike and GVS9000 who runs some great slo-mo vids — tries to drill through a trio of 2.5-inch aluminum blocks by firing a tungsten core round in their general direction. To compare the combined tensile strength of the aluminum, they do a similar run at a stack of super-sized gummy bears.